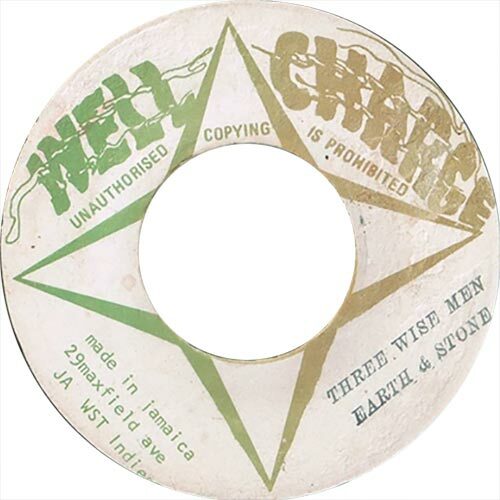 The late sixties, the Reggae era in Jamaican music, was the debut era for many producers in Jamaica, as it has already been stated. For some it was the time that they really got noticed. The likes of Lee Perry and Clancy Eccles both had histories stretching back to the Ska era. Others like Bunny Lee and Harry J came to the music from the business side, and it’s this sector that producer Harry Mudie came from. 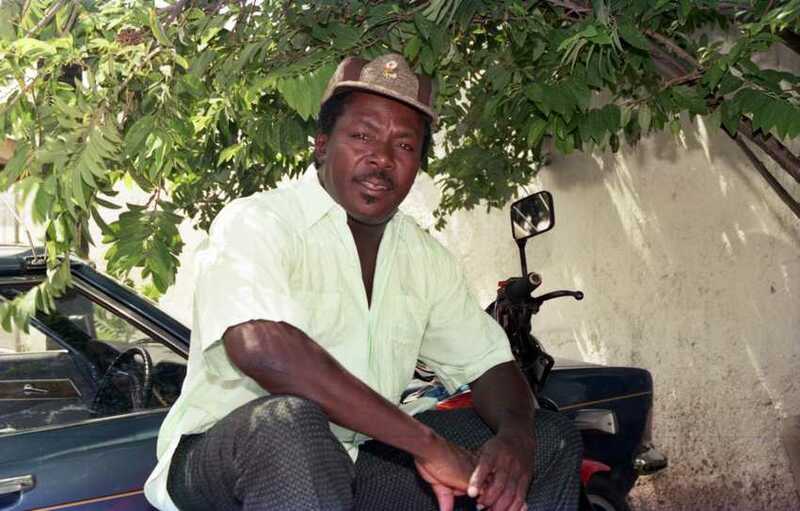 Based in Spanish Town, he started producing initially in the early ’60s, but it wasn’t until the Reggae era with big hits like “Let Me Tell You Boy” from the Ebony Sisters and “Heart Don’t Leap” from Dennis Walks that he got some recognition. 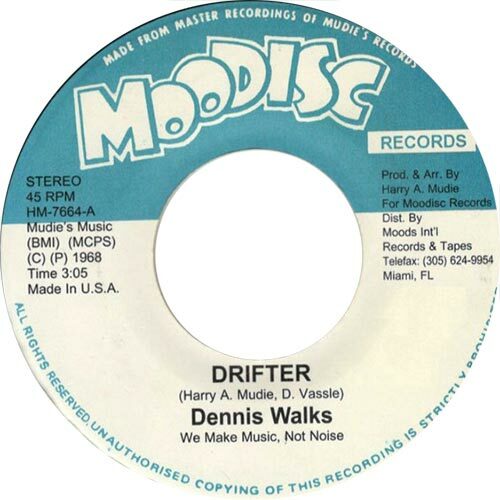 But the biggest hit from this time is “Drifter” from Dennis Walks. When you listen to “Drifter” today you can hear the changes in Reggae music that was just starting to happen then. “Drifter” was no slow Skank tune, but it was still a Roots tune. The rhythm guitar was played in a rougher fashion, and the horns seem to roar out of the mix. Dennis Walks’ song is very personal, sung in a dejected style. 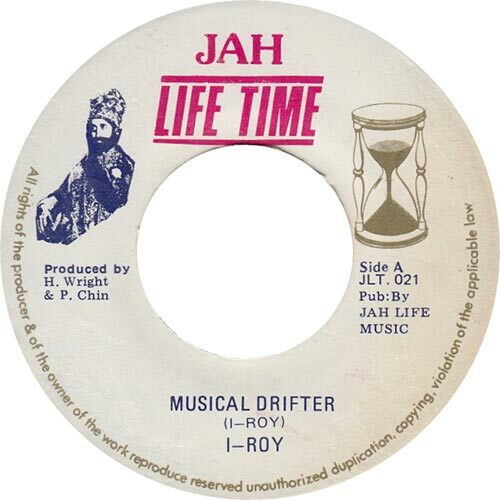 The next cut of this great riddim came from I Roy. He had moved to Spanish Town and Harry Mudie it seems was very anxious to record him – one of the first riddims he tried him on was “Drifter”. I Roy’s brash style suited the riddim perfectly and it gave him his first hit. 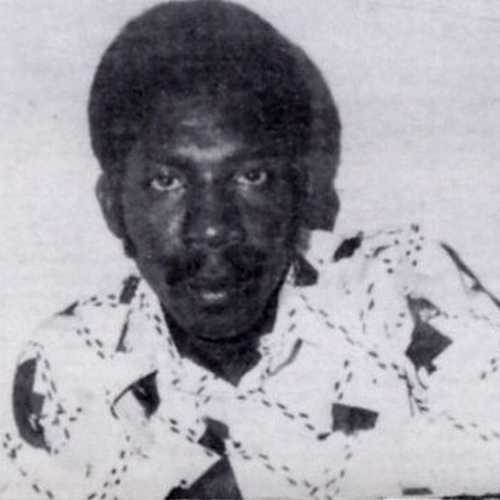 Over the next decade Harry Mudie returned to the riddim at least three more times. “Mudies Mood” by The Rhythm Rulers – much to the delight of some – is a strings version of the tune. Like Lloyd Jones’ “Rome” from the same producer, it is very well done. Thankfully though the idea did not catch on. Much better is the congo and bongo drum version by Bongo Herman called “Carpound Drifter”. On the B-side of this UK release could be found a fantastic Tubby’s mix of the dub called “Nitty Gritty Drifter” from Mudies All Stars. 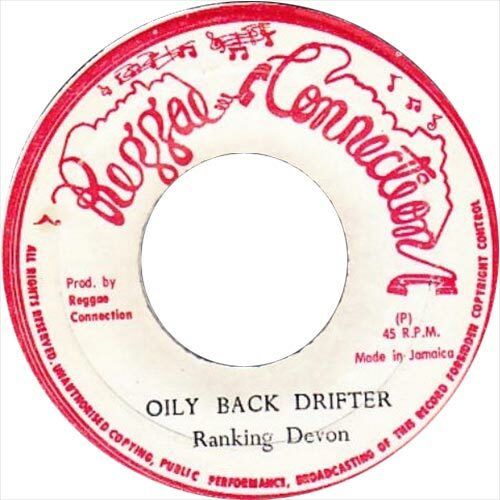 Sometime around the mid to late ’70s in the Rockers era, Coxsone acknowledged the greatness of “Drifter” and recut it. So far though it only turned up once, used by the Lone Ranger for a DJ cut. “Everything She Want” can be found on his first album, “On The Other Side Of Dub”. Usually Coxsone rearranges the horns of others producers riddims when he recuts, but not this time, which is interesting. Another very good cut of the riddim is Bunny Lee’s, which Cornell Campbell took up for his cut of the song. This is a slower and more complex version that works very well. Bunny followed this straight recut with a vocal version from Don Carlos – “Johnnie Big Mouth” – and two DJ cuts, one from John Wayne found on his underrated debut album “Boogie Down” and one from the totally unknown Mickie Mouse, which can be found on a 12″ and is called “Megamix”.